Brady Cheston is a cowboy with a heart of gold but having never met the right woman he is resigned to being single for the rest of his life. But the one thing that wealthy Brady does want is a child that he can leave his legacy to. So he hires debt ridden student Jasmine Stephens to be the surrogate mother to his future perfect child. This initially seems like a very convenient arrangement with Brady getting what he wants and Jasmine getting what she wants and both ready to walk away at the end. 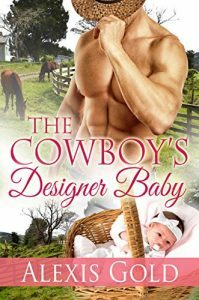 This is a MUST READ romance if you like your Cowboy’s to be strong and alpha but with a sweet side to them!